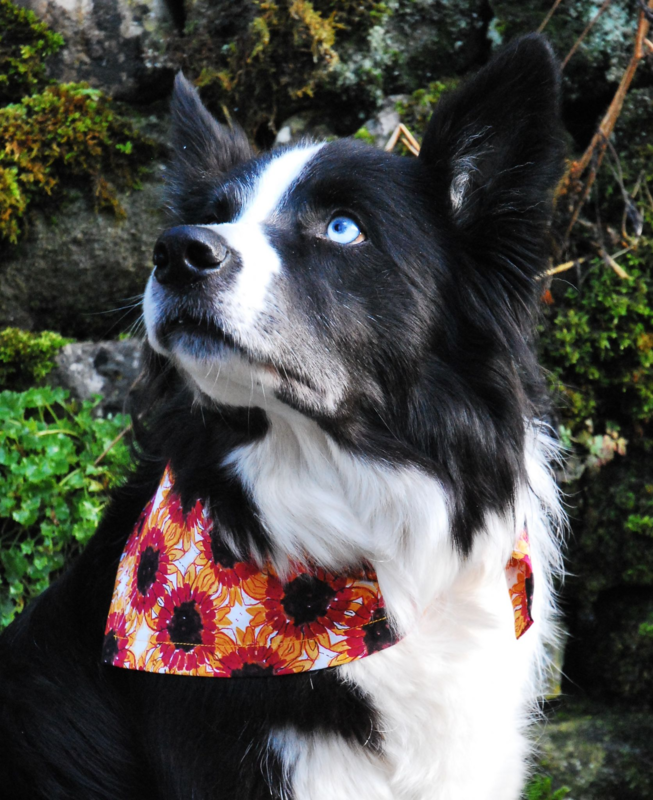 A beautiful retro style Sunflower dog bandana, perfect to cheer up the dullest of days! This is a super-stylish addition to any dog's wardrobe, and will certainly have heads turning, and compliments coming! This is a must have dog bandana for Spring and Summer. It's perfect for any occasion, but particularly lovely for festivals, parties and holidays!